b Variable k is an integer. 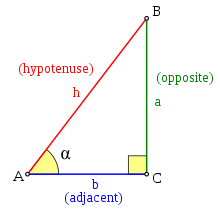 For the angle α, the sine function gies the ratio o the lenth o the opposite side tae the lenth o the hypotenuse. Sine, in mathematics, is a trigonometric function o an angle. This page wis last eeditit on 11 Apryle 2016, at 22:39.